You just walked out of a job interview—nailed it! But, the interview actually isn’t done yet. In fact, most hiring managers pay very close attention to how well (and how rapidly) you write a thank you note. So, our advice? Start your follow up as soon as humanly possible by writing a killer thank you letter after the interview. Our email template makes it super easy. Thank you so much for meeting with me today. It was such a pleasure to learn more about the team and position, and I’m very excited about the opportunity to join [company name] and help [bring in new clients / develop world-class content / anything else awesome you would be doing] with your team. While the template above is all you need, if you really want to blow a hiring manager out of the water, add in another few lines before “I look forward to...” with some ideas you have on how you could add value. Think: a quick mock-up of something you discussed in the interview if you’re in a creative role, taglines if you’re in branding, or some slides or possible partners if you’re in business development or sales. Try Muse writer Alexandra Franzen’s tips for giving the hiring manager something he or she can’t resist. Another way to go the extra mile—especially if your interviewer is more traditional or you have a feeling they’d appreciate a handwritten note—is to drop a card in snail mail, as well. 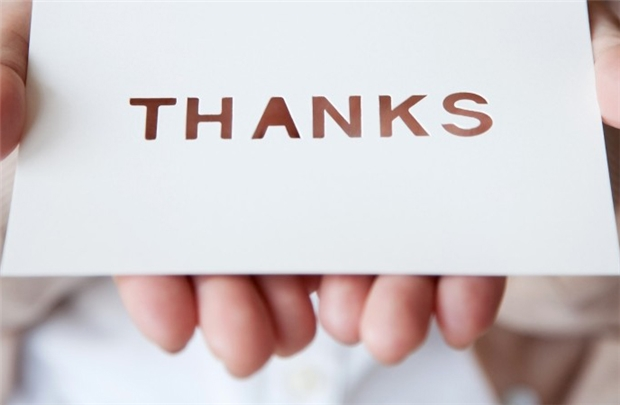 Your thank you note sets the tone as your first interview follow-up. So, whatever you do: Don't skip it. Use the template above to remind the hiring manager what a great applicant you are, and to show how much you care. New Rule: You Have to Start Adding "Yet" to Every Sentence That Starts With "I Can't"